This week marks the beginning of a new weekly installment at safc.com.au - stay tuned each Friday for our "Flashback Friday" look at famous Panthers past! Coming into Round 15 of the 2016 season against club our coastal rivals Glenelg, we are going to take a look back at the Round 3 match where we faced the Tigers in 1984. 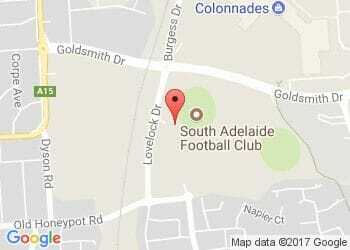 Glenelg and South Adelaide took to Football Park in front of a 7306 strong crowd on Saturday 4th of March 1984. The two teams would be fierce competitors throughout the season, splitting their series one win each and both finishing in the top four on the premiership ladder. The match, which was played by some of the SANFL's greats such as 359 gamer Graham Cornes and 448 gamer Peter Carey, as well as famous Panthers names like Mark Naley and Stuart Palmer amongst many, finished with South coming out 23 point victors. The Panthers led the way at every break and despite the strong competition finished with a final score of 14.16 - 100 to 11.11 - 77. Graham Cornes playing and coaching in the blue and white was coming up against his old club in his second year since moving to South Adelaide. Make sure you get out to Gliderol Stadium this week to support the Panthers as we attempt to return the Carey-Darley Cup to Hickinbotham Oval for the sixth straight time. Let's hope for a similar result as Round 3's matchup back in 1984!